Home Headlines & Breaking News Will Israelis Be Permitted To Vote In Knesset Elections From Abroad? 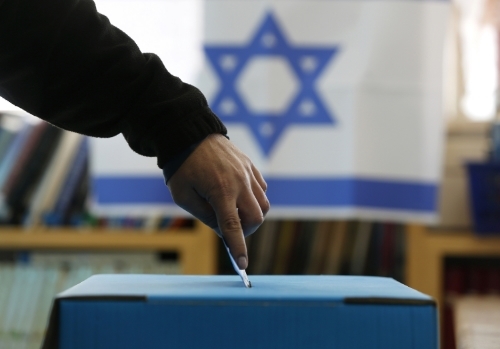 Will Israelis Be Permitted To Vote In Knesset Elections From Abroad? A bill that has backing from both members of the coalition and opposition seeks to permit Israeli citizens vote in Knesset elections from abroad. At present, one may only vote inside Israel, unlike the United States for example, permitting registered voters to cast their ballots abroad. The bill addresses Israelis abroad who are registered to vote in Israel, accommodating them by permitting them to vote in diplomatic facilities. The bill is intended for persons temporarily abroad, not Israelis who have relocated and now living in another country. The bill is initiated by coalition chairman MK (Likud) David Bitan, MK (Kulanu) Eli Cohen, MK (Shas) Yoav Ben-Tzur, MKs (Machane Tzioni) Eitan Cabel and Stav Shafir. They explain “in the era of globalization, many citizens are abroad on Election Day due to business and this will enable them to participate in elections via diplomatic missions as is the practice in most democratic countries in the world”. But apparently unlike the US it will not apply to Israelis permanently living abroad.